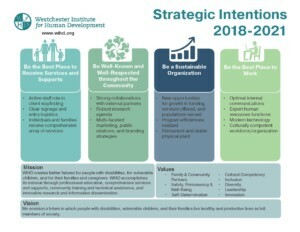 Westchester Institute for Human Development is a leader in addressing major social and health issues affecting people with disabilities and vulnerable children. WIHD addresses major social and health issues by developing and delivering medical, clinical and support services to individuals, their families and caregivers. As one of only 67 University Centers for Excellence in Developmental Disabilities, WIHD creates better futures for these individuals through the creation and dissemination of innovative research, professional leadership education and best practices trainings. WIHD provides nearly 50 programs and services to families and professionals throughout Westchester County and the Lower Hudson Valley. At WIHD, everything we do is guided by our vision of a future in which all people, including people with disabilities and vulnerable children, live healthy and productive lives as full members of society. WIHD creates better futures for people with disabilities, for vulnerable children, and for their families and caregivers. WIHD accomplishes its mission through professional education, comprehensive services and supports, community training and technical assistance, and innovative research and information dissemination. We envision a future in which people with disabilities and vulnerable children live healthy and productive lives as full members of society. We believe that every person with a disability or special health care need should have the opportunity to live a healthy, meaningful, and productive life as a full member of the community, and we believe that individuals with disabilities and their families should have the tools necessary to make informed choices and decisions about their own lives. We believe that every child deserves a safe, loving, and permanent home that fosters healthy development. We believe that WIHD best achieves its mission when individuals, families, caregivers, advocates and community members participate as full partners. We believe that the needs of diverse people with disabilities and vulnerable children and families are best served by a diverse and culturally competent workforce. We believe that interdisciplinary leadership is required to generate creative solutions and positive outcomes. For 40 years WIHD has been in Valhalla creating better futures for people with disabilities, for vulnerable children, and for their families and caregivers. Over the years the emphasis of the Institute has expanded and changed, however, the mission has not. WIHD continues to provide quality health care and related services to people with disabilities, support and training for vulnerable children and their families, graduate and postgraduate training, technical assistance, community support and research. The legacy of the Institute predates its 40 years in Valhalla. Formerly known as the Mental Retardation Institute, WIHD was founded in 1950 at New York Medical College (Flower-Fifth Avenue Hospital) in New York City. With start-up funding from the newly formed National Association for Retarded Children, the Institute initially served as a diagnostic and evaluation clinic for children, who at the time were considered to be affected with “mental retardation”. It was one of the first outpatient services in the country concerned exclusively with this diagnosis. In 1957, the New York State Department of Mental Hygiene funded a multidisciplinary postgraduate training program, which led to considerable expansion of WIHD’s staff, faculty and services. In 1963 Congress passed national legislation to support the creation of University Affiliated Programs to focus on what was labeled at the time as ‘mental retardation’. WIHD was named one of the first 18 programs. The Institute was also successful in securing a federal grant for the construction of a new teaching facility to provide interdisciplinary training, exemplary services, technical assistance and research. In the late 1960s, New York Medical College affiliated with Westchester County Medical Center in Valhalla, NY. 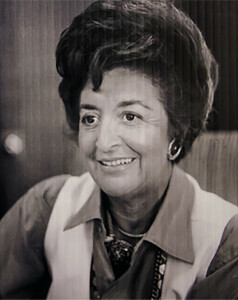 By 1972, WIHD had moved its Programs into the new building, constructed with the federal grant, on the Valhalla campus. This was the foundation of today’s WIHD Programs. In the early 1980’s WIHD’s programs were transferred from the College to the Westchester Medical Center and the WIHD school was transferred to a community agency, School for Special Children. In 1987, WIHD formed a partnership with the Westchester County Department of Special Services to create a Child Welfare Program based at the Institute. In the same year WIHD’s inpatient unit was closed. In the early 1990’s WIHD launched a special training initiative on Positive Behavioral Supports and in November of 1994, the Institute formally changed its’ name from the Mental Retardation Institute to Westchester Institute for Human Development (WIHD). In 2005, the New York Medical College established the Center on Disability and Health in the School of Health Sciences and Practice, and named WIHD’s President and CEO, Ansley Bacon, PhD as Director. 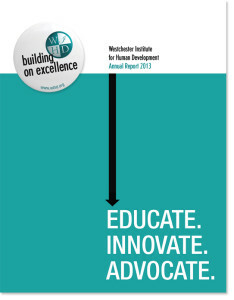 In July of that year WIHD separated from the Westchester Medical Center becoming an independent non-profit organization. Three years later in 2008, WIHD’s Children’s Advocacy Center received full accreditation by the National Children’s Alliance. 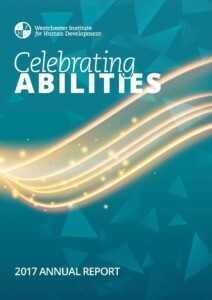 In 2010, WIHD received national recognition by the Association of University Centers on Disabilities (AUCD) for its work promoting family and self-advocate partnerships in all its activities. Today, WIHD continues to address important health and social issues in order to further its vision of a society in which people with disabilities, vulnerable children, the families and caregivers live healthy and productive lives as full members of society. Please click on the items below to view relevant financial reports for WIHD.